As it seems to have been an age since I last blogged (though I’m still just about managing the once-a-month blog post!) I thought I’d go with a list to help me put into words all the big things that have been happening around here. Our one week away to Wales at the start of August was lovely, and very much needed. The weather wasn’t great and a couple of planned trips out got cancelled for various reasons (beach inaccessible due to a completely full car park, a favourite restaurant/café closed etc.) and our youngest got a cold on the first day so, of course, we all ended up snotty/sore throaty BUT, the holiday was still hugely beneficial. It was great to simply get away from the pressures of work and the never-ending call of social media and I got some reading and writing done too. I even managed to get an hour or two all to myself to write on the beach while my husband went out with the kids. Writing on the beach accompanied by the sounds of the sea, a coffee and a pain-au-chocolate was pretty amazing. 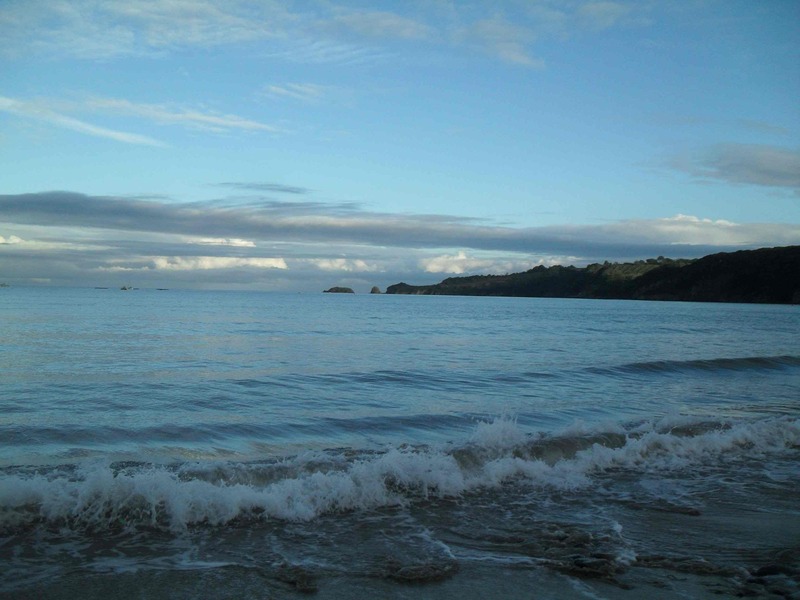 And at the end of the week I even got to swim in the sea. Bliss! Reading has consumed any free moments, as usual. I do want to mention some books that I’ve read recently, and which have made an impression on me. 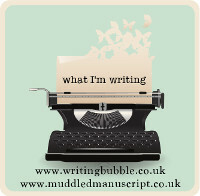 I love to help out authors by writing reviews but I’m aware that there’s not enough time in my life to do each of them justice (it can take me an age to write a review) but it seems that the least I can do is mention them here. 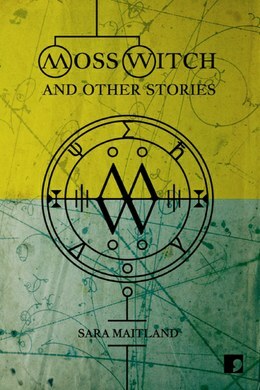 Moss Witch And Other Stories by Sara Maitland. I love the way that Sara has taken various concepts and ideas from various scientific fields and built (or hinged) stories on them. 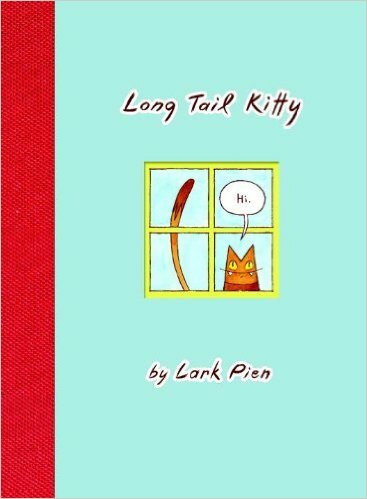 Some stories, I feel, work better than others but each is beautifully written and page-turning. Of course, I found the bits written by the scientists fascinating too. If you’re a fan of short stories and/or wishing to learn more about science I’d highly recommend this. 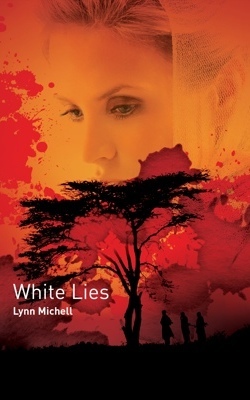 I’ve got so many other fiction books on my to-read list that I have no idea what I’ll read next fiction-wise, but I’d like to make a start on White Lies by Lynn Michell (of Linen Press). What Sarah has done with this narrative of poems that echo the book Madame Bovary is remarkable. I thought it highly original and fascinating in the way that Madame Bovary was fascinating to me when I read it many, many years ago; Emma Bovary is a difficult character to empathise with and yet I was transfixed by her unravelling life… If you enjoy contemporary poetry or would like to read something that gives an insight into the darkness of a mind overwhelmed by depression, I’d highly recommend it. 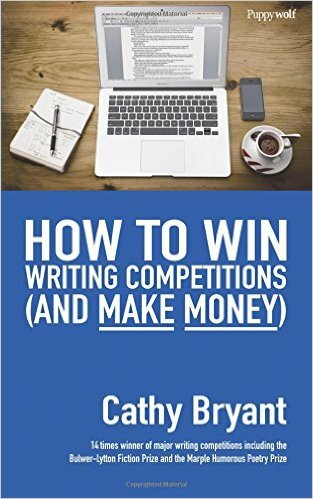 I bought this book because I’m a fan of Cathy’s writing, although I did initially think that surely there wasn’t a lot more I could learn about submitting to magazines or writing competitions. But you know what, I was wrong. As I wrote in my Amazon review, “I’d certainly recommend this to amateur writers but also to those who think they know the drill by now.” Oh, and it includes one of the funniest short stories I’ve ever read. 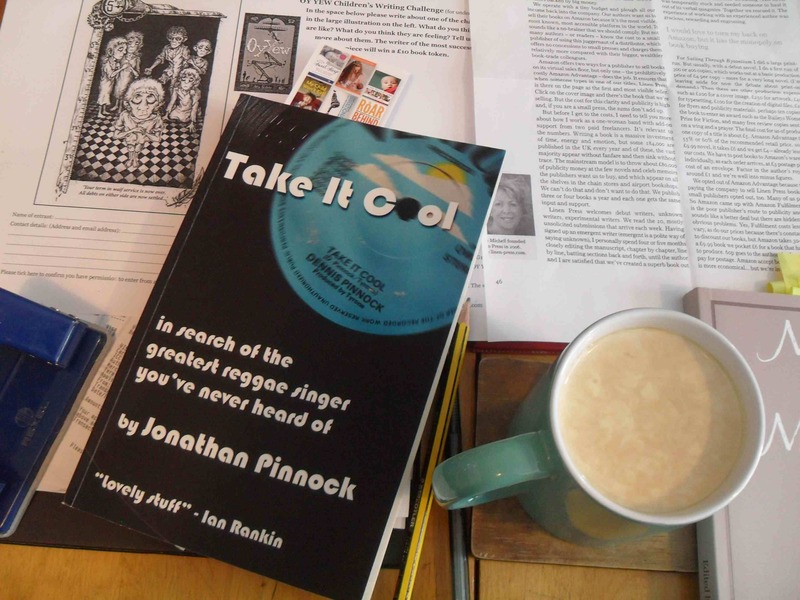 When I received this book I knew very little about reggae, or the slave trade, but by the end of the book I knew a whole lot more and was glad that I’d stretched myself by reading something I’d probably not normally consider reading. 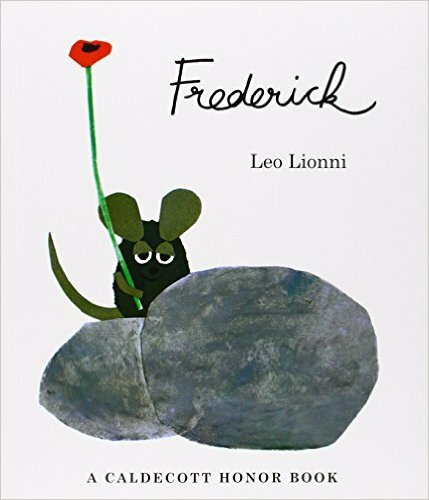 This book is fascinating and as creative non-fiction goes, a highly-enjoyable read. 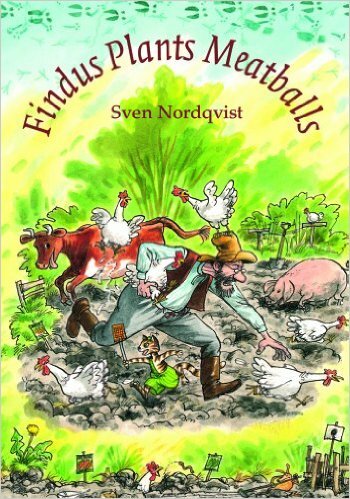 The author is a fine writer and very, very funny; he has the kind of self-deprecating, weird humour that really tickles me and I laughed out loud at many parts. I’m really glad to have found Jonathan through my random stumblings across the internet (I won the book in a giveaway on his blog) and want to read more of his books — his short story collection Dot Dash sounds brilliant, as does Mrs Darcy versus the Aliens. What a fab title! And even though many novels are a mixture of the above (i.e. 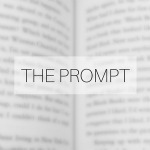 there are various sub-plots in a book that can be any of the above) a writer can potentially fall into various traps if they set about, say, writing an idea story that then morphs into a character story. 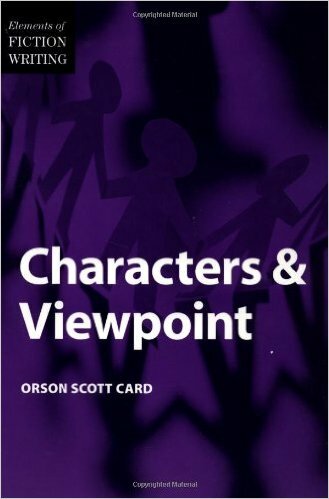 Anyway, I know that every writer has their own favourite how-to books but there’s something about Card’s writing style, and his approach to writing, that really clicks with me. And although I’ve seen the movie of his book Ender’s Game, it’s made me want to read Ender’s Game when I next have a free moment. The next non-fiction books on my to-read list are The Highly Sensitive Child by Elaine Aron and Raising Boys by Steve Biddulph. 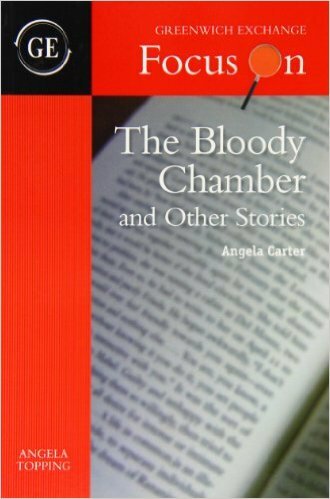 I’m also desperate to read Angela Topping’s book: Focus on ‘The Bloody Chamber’ by Angela Carter. I’ve asked for this several times for birthdays and Christmases but it hasn’t been gifted to me as yet. Fingers-crossed it’ll be in my stocking this year! 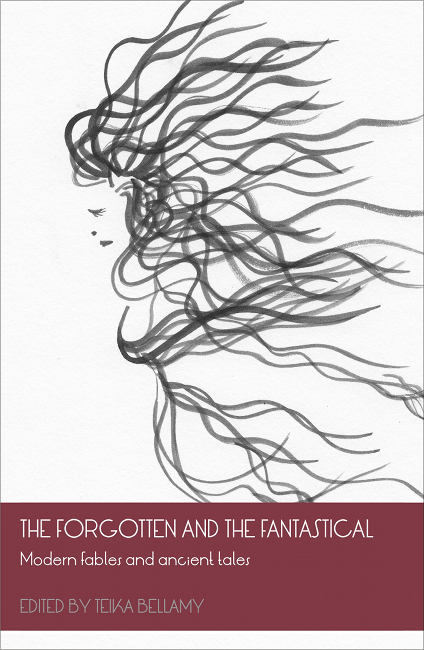 Work-wise, I recently read a fantastic manuscript by Becky Smith and then I re-entered the world of another fantastical literary world, as created by Alison Lock. 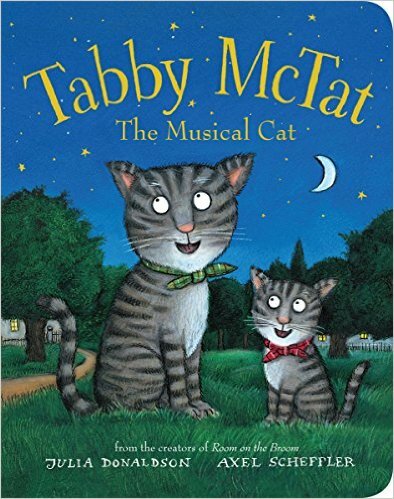 I’m super-excited again about the fact that I get to work with writers of Becky and Alison’s calibre as part of the publishing venture that is Mother’s Milk Books. (And I also wanted to say that it was a pleasure to watch Ana Salote — author of Oy Yew — in action recently at a bookshop event for children. 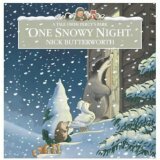 Seeing the children lose themselves in the words of her book was simply magical). Although now it seems ridiculous that I ever had an ‘epiphany’ moment about my writing, I must say that this is what happened to me this summer. My first novel was mainly a character story (it was a commercial fiction book set in the contemporary world. Well, mostly the 1990s, but to my mind that’s still pretty contemporary!). 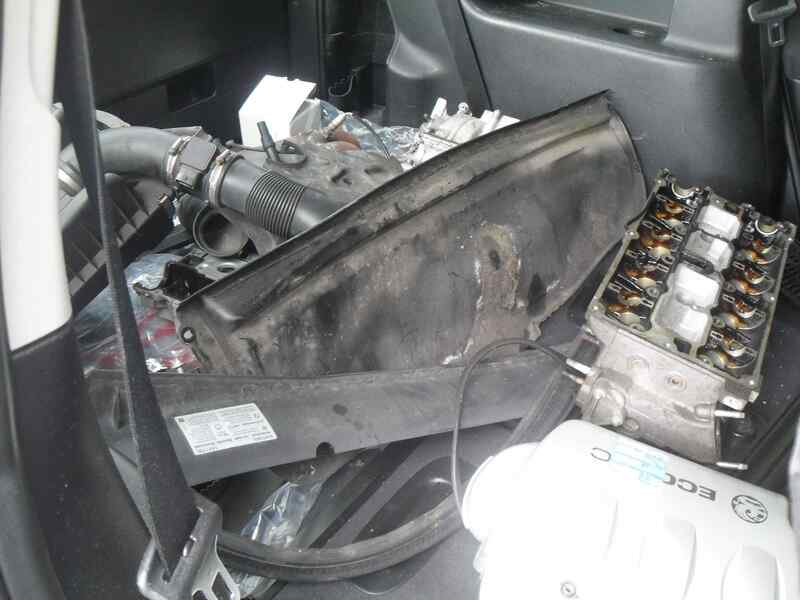 Various events powered the story along. For a good long while I toyed with the idea of getting it ‘out there’ but now that I’ve re-read it I’ve come to the conclusion that I don’t really want it out there. 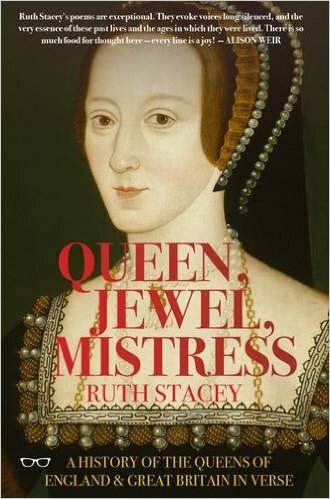 It was written as part of my own personal writing apprenticeship (a 10 year long apprenticeship!) and now I want to move on to other things. Quite honestly, I just don’t think it’s good enough to be published. And I don’t think it’s necessary (or a good idea) for me to expend time and energy on trying to edit it further and publish it. Also, it made me think long and hard about what I do want to write and try to get published, and as I’ve got a fair few story and novel ideas in my head that are of a fantastical nature I suddenly realized — WOW! — I’m a sci-fi and fantasy writer. 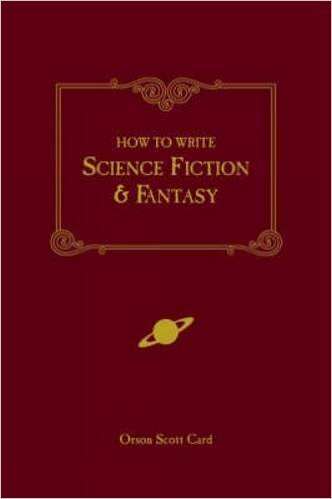 Which is also why I simply had to read How to Write Science Fiction and Fantasy by Orson Scott Card. For someone fresh from their epiphany of ‘I’m an sff writer’, this has been a pure joy to read and I want to go out and buy the following two books that Card mentions in his How-To book: Helliconia by Brian Aldiss and Wild Seed by Octavia Butler. In fact, I want to get all the SF Masterworks. I’m smitten! Sadly, because of work busyness and writing busyness and family busyness (not to mention the pesky business of dealing with a knackered car – see above! ), I’ve only managed to do a little sketching. But, and this is a very bittersweet but, but when my youngest starts school in September (just a few days away) I’m planning on spending a little time focussing on painting and drawing. I think it’ll help me to adjust to this huge shift in our family dynamic. I’ve been an at-home mother with either one or two kids at home for 8 years now and yes… although I will welcome not having to deal with holiday sibling squabbles every 5 minutes and not having an audience when either on the loo or in the shower, the house will seem strangely silent, and yes, no doubt, I will weep. I hope you all had healthy and happy holidays and I wish you all the best for whatever autumn brings. 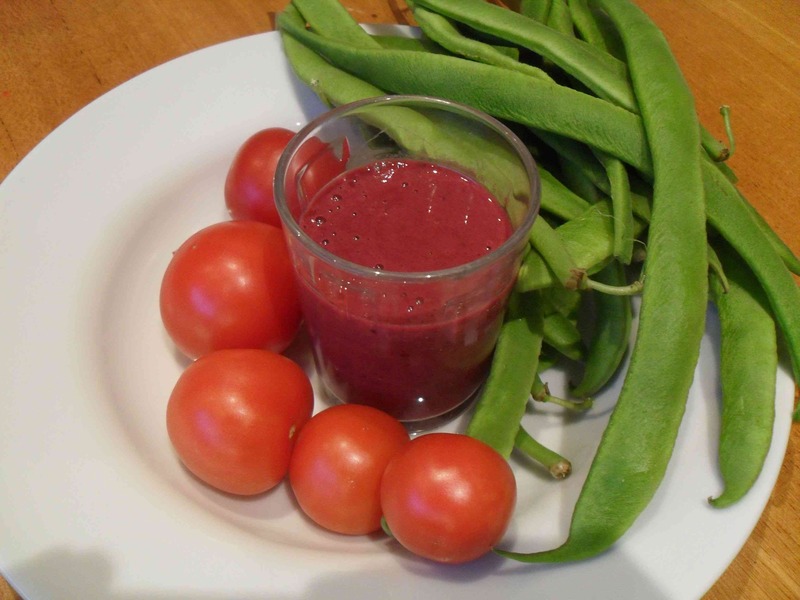 It’s currently bringing us the joy of blackberry smoothies and homegrown green beans and tomatoes! 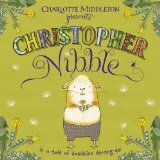 Thank you also to Maddy and Chrissie for once more taking on the fine thing that is What I’m Writing. Welcome back y’all! 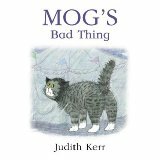 Things have been super-hectic here, what with the usual summer activities – Sports Day, the school play and the village fair – but also my own work publishing other people’s books has kept me very, very busy. 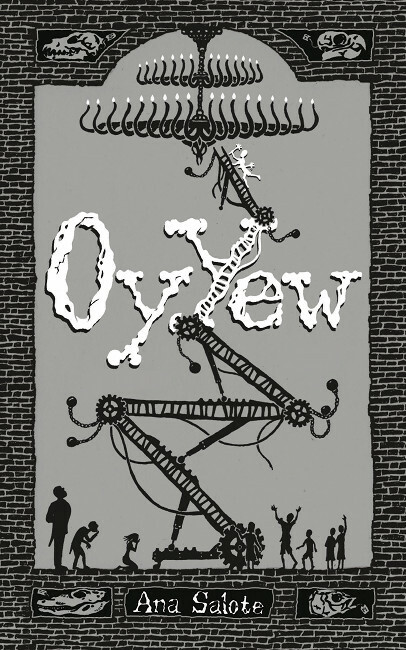 I recently published a middle-grade children’s/crossover book called Oy Yew, by Ana Salote. 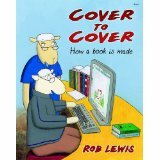 It is simply a superb book and I really do mean that – during the editing, copyediting, proofreading, typesetting and conversion to kindle process (I’m still in the middle of that last one) I must have read the book about 10 times, and I STILL love it. However, I have suffered with eye-strain and ‘writer’s bum’ from being slumped over a computer at every available moment so I’ve tried to take every opportunity to get out into the fresh air, to exercise and to take a break from the screen. 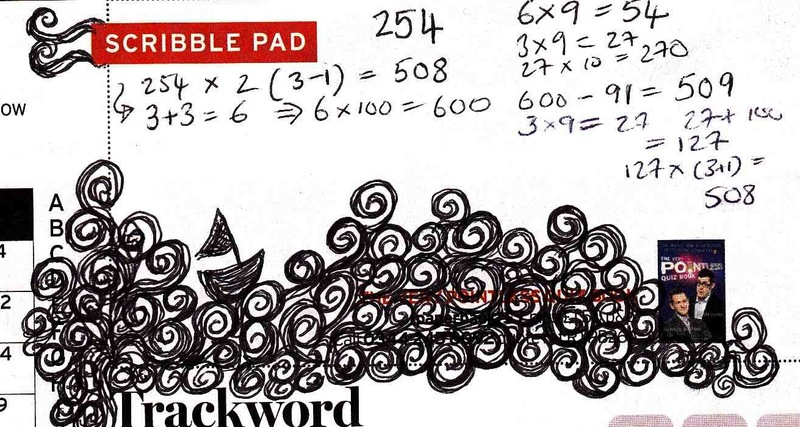 I have, at times, felt overwhelmed by everything (particularly as there is little time for my own artistic and literary endeavours – doodling and writing the odd paragraph or two is all I’ve managed recently) and so sometimes I’ve pictured myself as a little boat on a stormy sea. 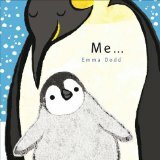 BUT, my supportive family have been my one constant and every night I’ve been reminded of just why I’ve been doing all this ‘bookish’ work – because I simply love reading to my kids and sharing books with them. This is surely why all (well, at least, most) writers write – for that vague feeling/hope that someone, somewhere, right now is getting lost in the world created by the writer. 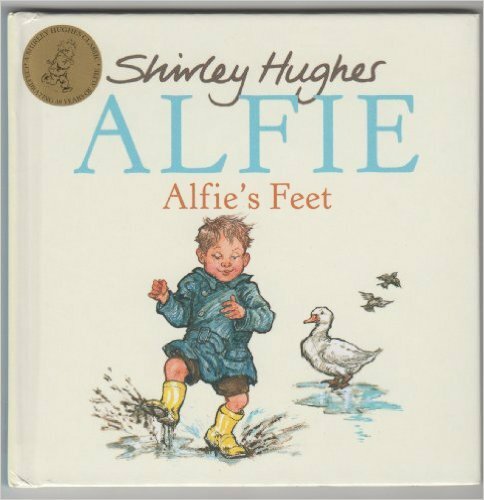 I know that sitting with both my kids at bedtime and reading to them has been a wonderful escape for me from my everyday concerns, so I thought I’d share some of our favourite books here. As my children are 8 and 4 it can be difficult to find books that engage them both, but the below seem to have captured their imaginations. No doubt you’ve heard of many (if not all) of these wonderful books/writers but if you haven’t I’d encourage you to give them a try (and if you can’t get them at the library, why not support your local bookshop and buy from them?). And if you think I’ve missed some that our kids may like please do let me know. 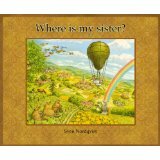 And Sven’s Where is my Sister is absolutely stunning illustration-wise. 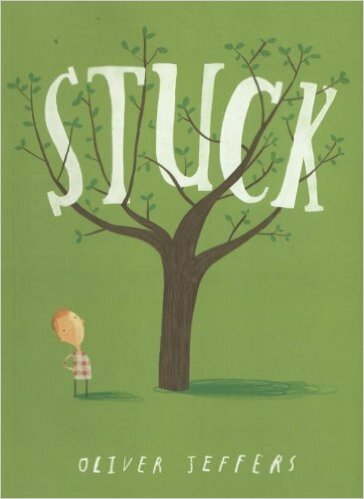 Virtually anything by Oliver Jeffers is a hit too, though Stuck and The Great Paper Caper are probably our favourites (and a grumble about The Day the Crayons Quit: it seems that most of the crayons are boys… hmm). 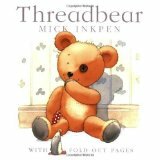 We really like Mick Inkpen’s creation, Kipper, but we also particularly like the story of Threadbear. Something really clicked with me the other day when I read that my friend (and fellow small press owner, Susan Last) wrote that she was a voracious reader as a child. I suddenly realized that those would be the exact words to describe myself as a child as well. I wasn’t aware, at the time, of other people reading Sherlock Holmes. 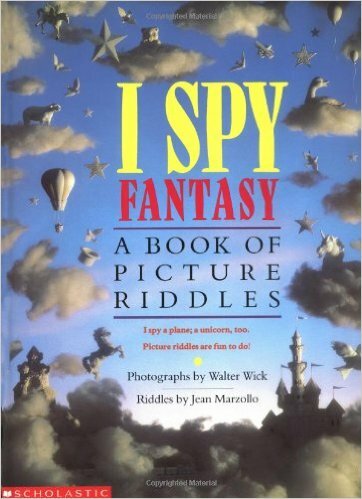 I kind of guessed that it wasn’t a ‘cool’ book, because, well, Sherlock Holmes went around wearing a deerstalker hat and it was all set a long time ago. 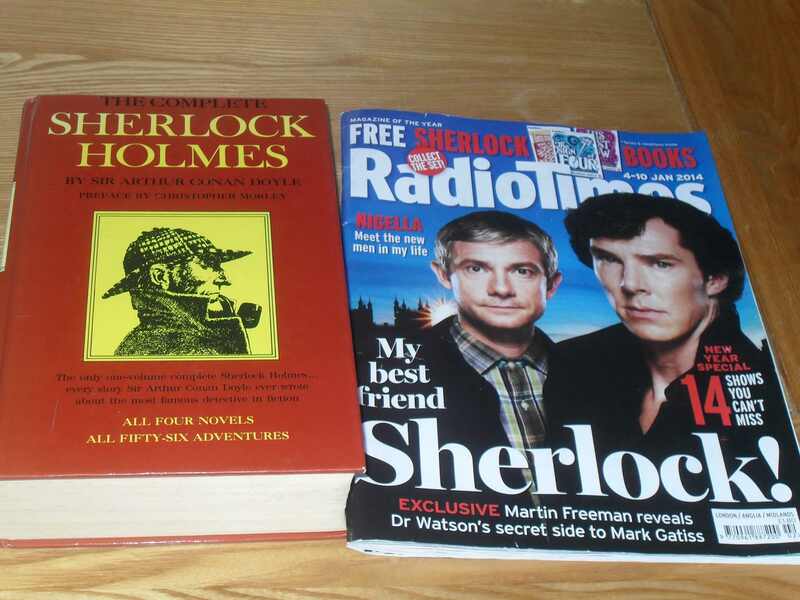 The fact that I knew a few bits of trivia about Sherlock Holmes was helpful though – particularly in pub quizzes! I couldn’t have guessed then that x number of years on Sherlock would be cool. Not just cool, but supercool, and no doubt a huge part of that is down to the casting, but I still think it’s worth mentioning that at the heart of this successful series is Conan Doyle’s masterful storytelling. After watching the latest episode I am inspired – again – by the power of story, and the rich possibilities therein. P.S. 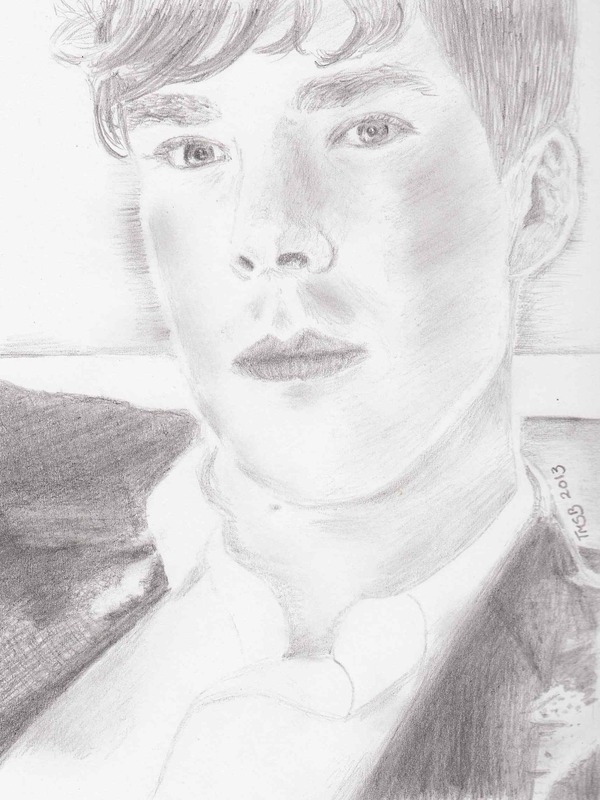 I can’t say that I didn’t enjoy drawing the above handsome face (oh those eyes!) but what I’m most pleased about is the fact that I managed to accomplish this at all. My drawing time seems to have diminished of late and I managed to do this in 20 minute bursts (once a week) while I sat beside the local swimming pool as my daughter splashed away, busy with her lesson. 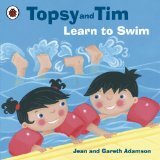 I’m very pleased to say that she can now swim a full 5 metres which makes me very proud!